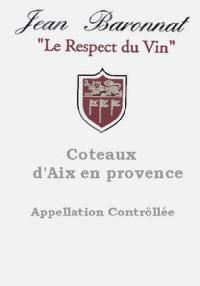 Created in 1920, a family wine company currently directed by Jean-Jacques Baronnat who represents the third generation. With a colour Deep crimson, its Juliénas opens on blackcurrant perfumes, then furnishes the palate with a delicacy body and flexible to the quite fruit ripe flavours. Balanced and already loan, it will be able to accompany a chicken cooked in a wine sauce. Also quoted in this guide White Beaujolais 2004. 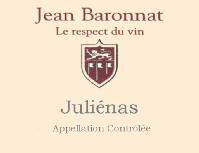 Created in 1920, a wine company currently directed by Jean-Jacques Baronnat who represents the third generation. its Juliénas, with deep crimson colour, opens on blackcurrant perfumes, then furnishes the palate with delicacies and flexible flesh to the quite ripe fruit flavours. Balanced and already loan, it will be able to accompany a chicken cooked with wine sauce. Also quoted, the white Beaujolais 2004.